Optional Single Supplement: $1641 USD (number of singles limited). This tour may require a mandatory single supplement charge of $820 if you join our share program and we are unable to pair you. On this Portugal tour we will travel from north to south and uncover a dazzling mix of Roman, Moorish, and Baroque architecture along the way. Explore small towns, coastal vistas, and a tradition-rich country with a legacy of global discovery. We will discover effortlessly cool cities, charming colonial towns and magical stone villages. As always, we will not only visit the must see spots, but we will also venture away from the tourist crowds as we meander along narrow cobbled streets and oceanfront promenades. Often overlooked in favour of its neighbour to the east, Portugal is a country rich in history and culture, and gifted with a temperate Mediterranean climate. Situated right in the middle of the Atlantic, the island of Madeira is a haven of natural beauty with a subtropical climate. This volcanic outcrop off the coast of Africa is Portugal's own floating garden, and the natural beauty here is like no other! Many travellers would be hard pushed to pinpoint the Azores on a map, but finally the world is waking up to the allure of these volcanic islands, scattered like stepping stones in the mid-Atlantic. 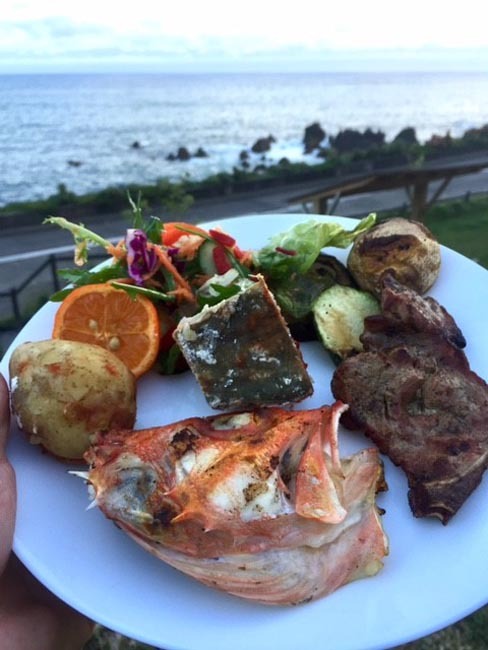 Sao Miguel packs the best bits of the Azores into one enticingly volcanic bundle. The guides were excellent and we got to see the major sights in all the places we went. The food far exceeded my expectations, but AA generally does. Transportation used was excellent. Hotels were in great locations, were comfortably, and all had good buffet breakfasts and a wide selection of foods. A fantastic trip and just what I was wanting. Fabulous tour! Exceeded my expectations! I enjoyed and appreciated the amazing variety of activities. Guides were knowledgeable and personable - excellent service. Meals exceeded my expectations. I would recommend this tour. Great tour! So varied and interesting. Enjoyed all of it. All guides were good. Outstanding restaurants and food. I most enjoyed the botanical gardens, mountain villages, and castles but it would be difficult to find something that I did not like. Azores was a revelation because of the different uses of flowers and the magnificent scenery. Ireland could be considered "brown" compared to the "greenness" of San Miguel. Food servings are huge and the food was varied. Hotel experience was excellent. Portugal guides were some of the best of any country I have visited. This tour proved to me that I really enjoy traveling to Islands, out of the way countries, especially away from the "tourist hordes" of whom I am one!!!!! I enjoyed the driving tours around both Madeira and Azores; botanical garden in Ponta Delgada, and the Sintra tours! Local guides were all excellent as always. Nice coaches and air conditioning on all. Hotels and meals were excellent. I will return! On this adventure we will travel from north to south and uncover a dazzling mix of Roman, Moorish, and Baroque architecture along the way. Explore small towns, coastal vistas, and a tradition-rich country with a legacy of global discovery. We will discover effortlessly cool cities, charming colonial towns and magical stone villages. As always, we will not only visit the ‘must see’ spots, but we will also venture away from the tourist crowds as we meander along narrow cobbled streets and oceanfront promenades. Often overlooked in favor of its neighbor to the east, Portugal is a country rich in history and culture, and gifted with a temperate Mediterranean climate. Situated right in the middle of the Atlantic, the island of Madeira is a haven of natural beauty with a subtropical climate. This volcanic outcrop off the coast of Africa is Portugal’s own floating garden, and the natural beauty here is like no other! Many travellers would be hard pushed to pinpoint the Azores on a map, but finally the world is waking up to the allure of these volcanic islands, scattered like stepping stones in the mid-Atlantic. 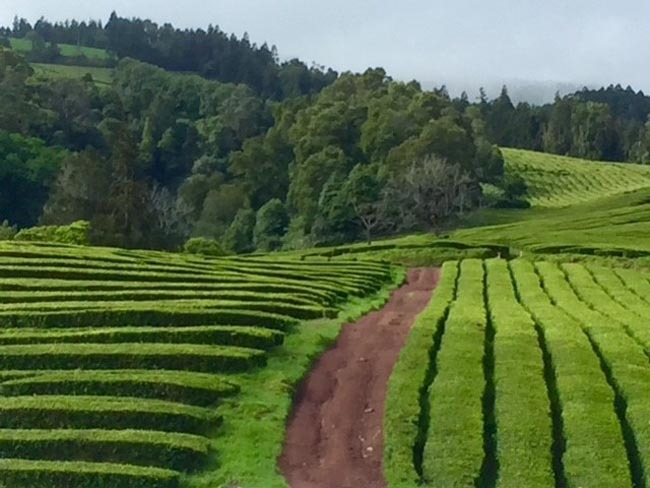 São Miguel packs the best bits of the Azores into one enticingly volcanic bundle. 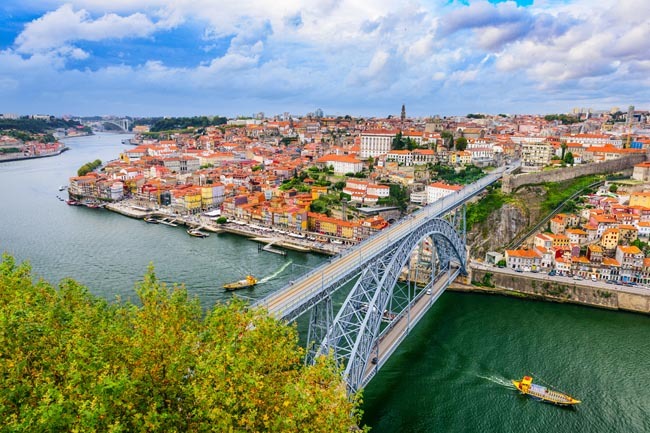 We will wander through Porto's lively city center, and see the Old Quarter, the modern districts, and the low section that fronts the River Douro. 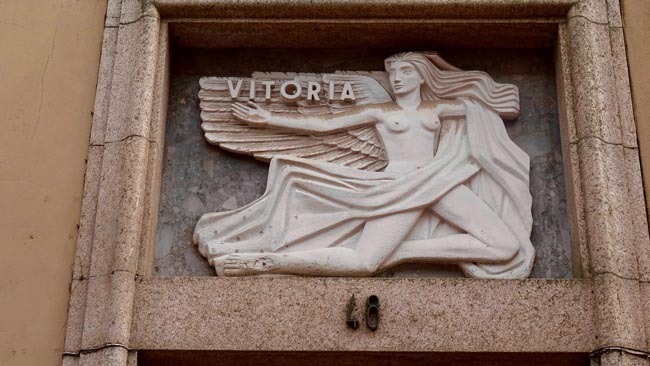 Our walking tour of Porto's riverfront Ribeira district will include the lavish rooms of its neoclassical Stock Exchange Palace, the Cathedral and the São Bento Train Station. 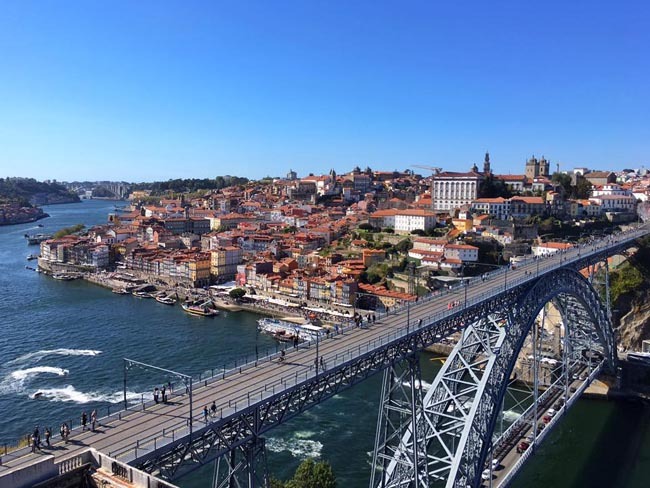 We'll have great views from the Dom Luis Bridge en route to the alluring district of Ribeira, a crumbling but fascinating place made up of medieval streets and alleyways, including the riverfront square ("Praça da Ribeira"). During our time here we will see the Church of Sao Francisco which dates to the 13th century. Along with being the second-largest Portuguese city after Lisbon, Porto is also one of the most prominent urban areas in Southern Europe. 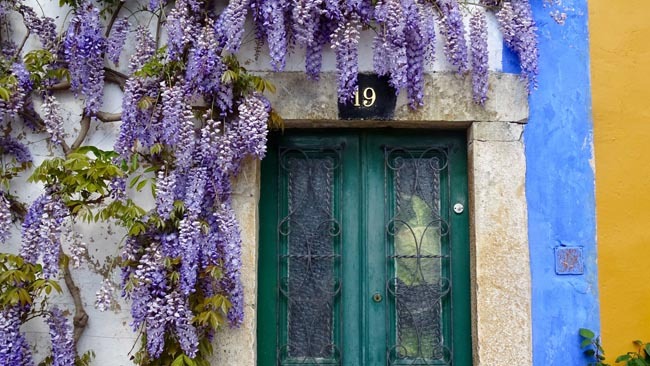 Today we enjoy a full-day excursion to the Minho region, one of Portugal's best-kept secrets. 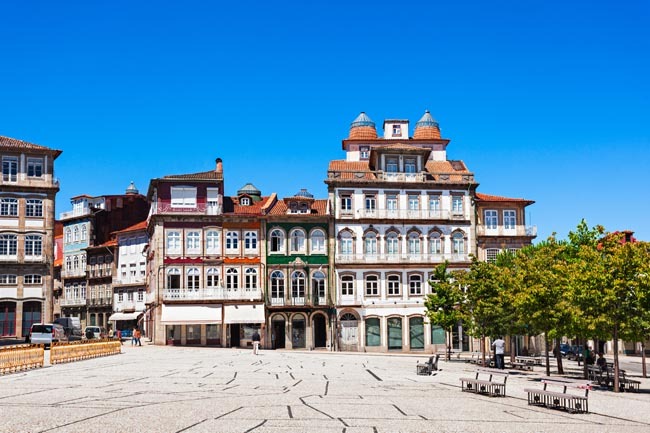 The historic and charming town of Guimarães is an exceptionally well-preserved and authentic example of the evolution of a medieval settlement into a modern town. This is where one can witness the specific development of Portuguese architecture from the 15th to 19th century through the consistent use of traditional building materials and techniques. This was the first capital of Portugal and the birthplace of Dom Afonso Henriques, the first king of Portugal. We will spend some time in the old medieval quarter, and will visit the sacred Castle Hill. The historical center is a maze of narrow winding streets flanked by old houses decorated with statues which lead to the impressive main square, Largo da Oliveira and the old Ducal Palace. In Largo do Toural, one of the most central and important squares of the city, we can breathe in the unique atmosphere that exists here. In 2001 Guimarães was recognized as a UNESCO World Heritage city. We later enjoy the views of the countryside on our drive to Braga, a city famous for its many churches, and for being the religious center of Portugal. The strategic location has always made Braga ripe for occupation and development. The Romans occupied the city in 250 BC, and through them Christianity and the first Bishops of Braga eventually came. In the old quarter of Braga we can see the ornate palaces, churches, and narrow medieval streets. Here we will visit the Cathedral of Braga and the Bom Jesus Sanctuary, known for its fascinating Baroque stairway. From Braga we move on to the beautiful village of Barcelos. The city of Barcelos is known for its handmade ceramics, especially the Galo de Barcelos – a colourful cockerel which is acknowledged as an unofficial national icon and often used as a symbol of Portugal. The medieval walled town is situated on a hill above the Cavado river, and its charming streets lined with baroque houses. After exploring the village we will head back to Porto. Today we venture to the Douro wine region, an impressive landscape where for generations, thousands of men and women have built extraordinary terrace staircases on steep mountains, turning almost inaccessible lands into large areas of cultivation of the famous port wine. This was the world's first demarcated wine region, and during our time here we will visit a family estate and winery with spectacular views of the surrounding valley. This will provide the perfect chance for us to learn all about the proud art of making fine Port — and taste it too! We will visit the Museum of Douro in Peso da Régua, which delivers a wonderful overview of the history of this region. 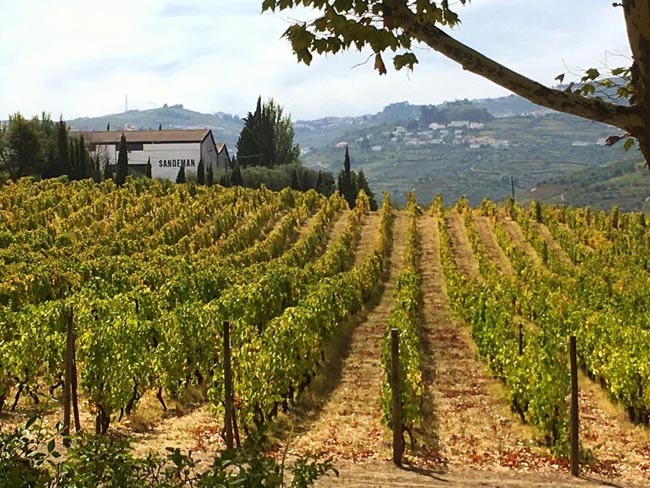 Wine has been produced by traditional landholders in the Alto Douro region for some 2,000 years. Since the 18th century, its main product, port wine, has been world famous for its quality. This long tradition of viticulture has produced a cultural landscape of outstanding beauty, and today the Alto Douro is considered an outstanding example of a traditional European wine producing region and has UNESCO World Heritage status. 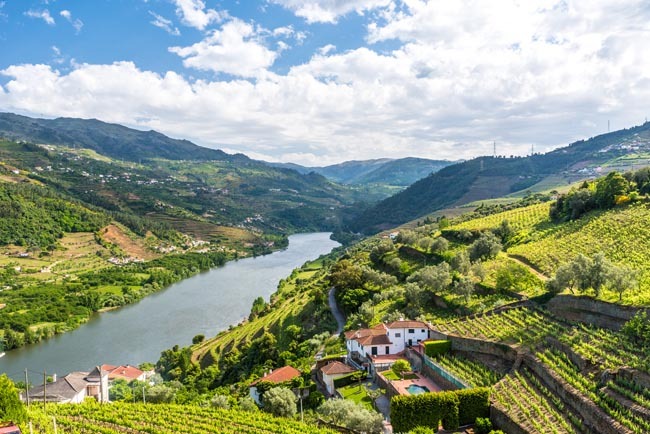 The river Douro rises in Spain and traditional 'Rabelo' boats were once used to get the wine down the fast flowing river to the western coast and the markets of the world. In the 19th century this perilous journey was replaced by a railway line, and nowadays road tankers are used. Our picturesque drive will include stops in Amarante, Régua, and Pinhão. We later return to Porto. This morning we head out early and say farewell to Porto as we travel south to Aveiro and Coimbra. Our first stop is in Aveiro, a perfect picture-book destination, with its colourful gondola-shaped boats, natural lagoons, elegant 19th Century architecture and traditional cobblestone passageways. Commonly nicknamed the ‘Portuguese Venice’, Aveiro is enchanting. Crossed by a shimmering canal, this is considered one of the most charming destinations in the country for its brightly patterned moliceiro boats, array of pastel-tinted Art Nouveau buildings and its calm urban atmosphere. Known for its twisting streets and terraced houses, Coimbra should rank highly on every traveler's list. 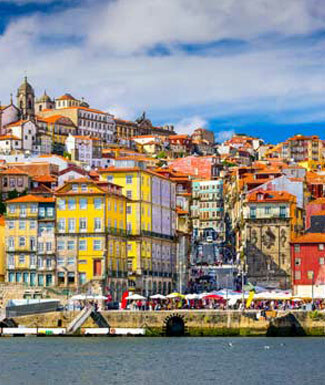 Here we experience a truly vibrant university city that has long been considered the heart of Portugal's cultural life. Coimbra attracts writers and artists who feed on the creative energy of the city's 20,000 students. The city center offers a fascinating mix of architectural styles, and is one of Portugal's easiest cities to enjoy. The University of Coimbra was established in 1290, making it Europe's oldest center of higher learning. Here we will walk the maze of narrow lanes and discover its steeped-in-tradition 700-year-old university – protected by UNESCO. Surrounding the old town are fine old churches and narrow streets standing on a hill overlooking the Modego River. We will see the historic Santa Cruz Monastery, containing the tombs of Portugal's first two kings. We will also visit the 12th century Se Velho Cathedral, the Arch of Almedina, and Santa Cruz Church. This morning we depart from Coimbra and head to Conímbriga, the site of Portugal’s most extensive Roman ruins! This is one of the best preserved sites on the Iberian Peninsula. The ancient city of Conimbriga is the largest and richest Roman settlement in Portugal. Only around 20% of the total historical, urban area has been excavated but the remains give a fascinating insight in to the life and culture during the Roman occupation of Portugal. Our exploration along the ancient Roman roads will take us to the fountains, baths, houses and amphitheatre. Later in the day we proceed to Tomar, one of central Portugal’s most appealing small towns. 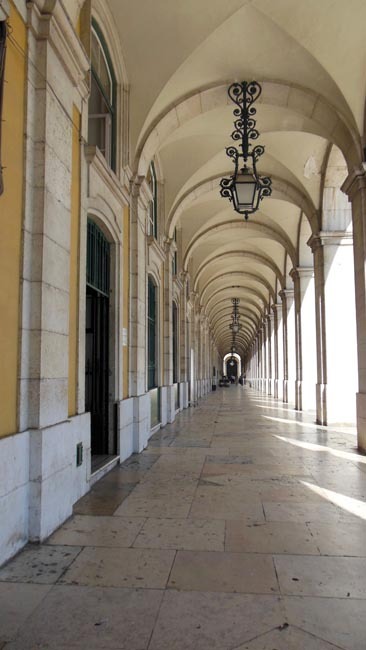 Here we explore the center on foot, including the Republic Square (Praça da República). We will see the lovely view of the São João Baptista Church and of the Templar Castle beyond. 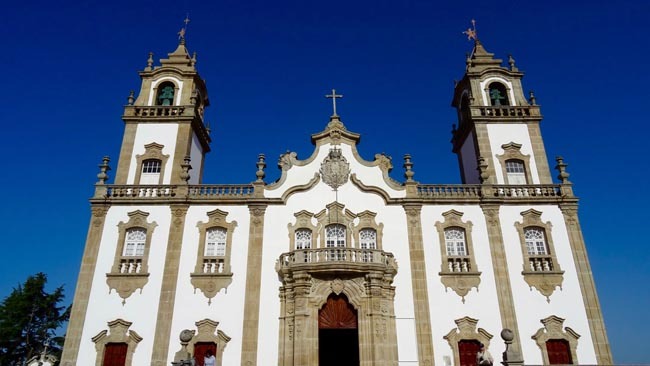 At the São João Baptista church we admire its Manueline façade and interesting interior before continuing up to the Castle and the UNESCO protected Convento de Cristo. Next we continue to Leiria where we view the castle and explore the old town. Easily reached on foot from the castle, the old town is home to some attractive 16th and 17th century buildings. Rodrigues Lobo Square has some fine arcaded buildings. Along the narrow streets from the nearby Candido dos Reis Square we find some shops where we can try some of the local specialties such as the bolo de pinhão, a cake made with pine nuts. At the end of our day we arrive at the pilgrimage site of Fatima. This morning we will see the well-known Roman Catholic Marian shrine of Fatima. Here we visit the Basilica and the Chapel of Apparitions. We then depart and head southwest for Alcobaça, located in the valleys of the Rivers Alcoa and Baça. Here we will tour the ornate Baroque-Gothic Cistercian Monastery of Santa Maria, one of the seven wonders of Portugal. The UNESCO protected monastery was founded in the 12th century by King Alfonso I, and Alcobaça owes its fame and development to this Monastery! 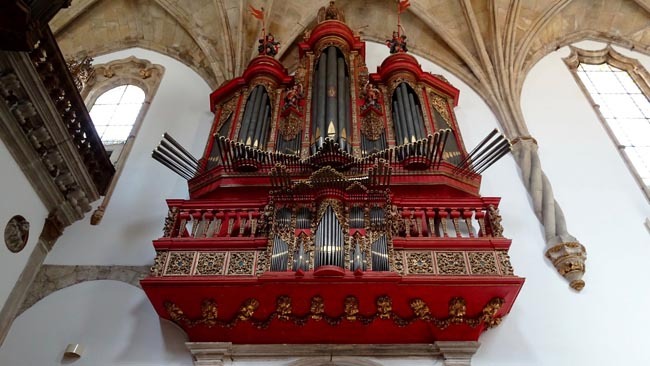 This is a masterpiece of Cistercian Gothic art. Just a short drive from Alcobaca is Nazare, perhaps the most famous fishing town in Portugal. Here one finds a wonderful beach, with fishermans houses and amazing cliffs looming over the Atlantic Ocean. We can admire the brightly coloured rowing-boats moored on the beach, and watch the local fishermen bring in their nets. A superb view is enjoyed from the "Sitio". We then head south to the walled city of Obidos, one of the most picturesque towns of Portugal. Located on a hill, the entire town is encircled by solid city walls and the compact town center is filled with cobbledstreets and traditional painted houses. Obidos was traditionally owned by the queen of Portugal and this has ensured that every house or shop has been lovingly cared for and maintained. 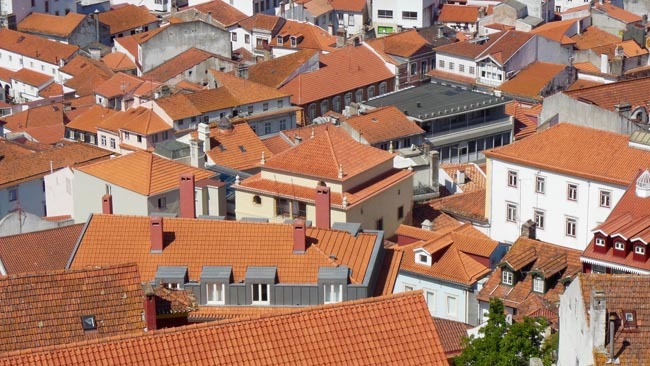 There is no better example of a traditional Portuguese town! During our time here we will walk through the perfectly preserved cobblestone streets with white washed houses held snug by the medieval walls. On our walking tour we will also pass through the 18th century entry arch covered in glazed tiles. Today we travel from Obidos to Lisbon via Sintra, and the coastal city of Cascais. The small city of Sintra lies between Lisbon and the Atlantic. Situated on a promontory of land between two gorges, Sintra has a beautiful setting and was an early choice as the summer seat of the Portuguese royal family. For many, this is one of the loveliest spots in the Iberian peninsula. We will visit the UNESCO protected center, Sintra-Vila, dotted with pastel-hued manors folded into luxuriant hills that roll down to the blue Atlantic. We then travel through the Sintra-Cascais National Park, and along the way we will pass by a few of Sintra’s many castles. Palácio Nacional de Sintra was the main abode of Portuguese royalty until the early 20th century. Quinta de Regaleira incorporates several architectural styles and has gorgeous surrounding gardens. At the coast we make a stop at the rocky bluffs of Roca Cape (Cabo da Roca), Europe’s westernmost point. In antiquity this was considered to be the place where "the land ends and the sea begins". Here the vertical cliffs rise up around 100 m above sea level, offering spectacular landscapes. One of Portugal´s prettiest coastal towns is Cascais, a sleepy fishing village until King Luís I´s Royal Court arrived in 1870, bringing glamour which still survives today. Before medieval times, Cascais had lived off fishing on these Atlantic shores, servicing a large part of Lisbon. During the exploration of the “new world”, Cascais was important to Lisbon strategically due to its proximity to the Tagus River, and it became quite wealthy from the maritime trade and services. In this former fishing town we can peruse the narrow streets and check out the classic white, terracotta-roofed houses as we make our way to the bay. Later we will pass by pristine views of the scenic town of Estoril, a fashionable and stylish Portuguese beach resort located on the beautiful coastline west of Lisbon. Today we explore Lisbon, Portugal’s hilly capital. Lisbon is Europe's second-oldest capital (after Athens), once home to the world's greatest explorers like Vasco da Gama, Magellan and Prince Henry the Navigator, becoming the first true world city, the capital of an empire spreading over all continents, from South America to Asia. This city is truly an enticing tangle of past and present, funky and old-fashioned, restored and revitalized. For many this is one of Europe's most enjoyable cities. 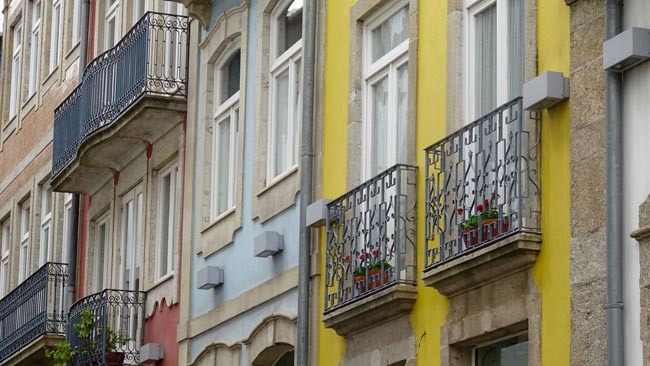 We will explore many of Lisbon's most colorful neighborhoods on foot. Bairro Alto and Chiado are picturesque working class quarters dating from the 16th century that have traditionally been the city's bohemian haunt of artists and writers. A stroll through the Moorish Alfama district takes use through a tangle of medieval streets topped by São Jorge Castle from where we take in a panoramic view of this vibrant city. Baixa is Lisbon’s historic downtown (lower town), gridded with streets and dotted with major squares. 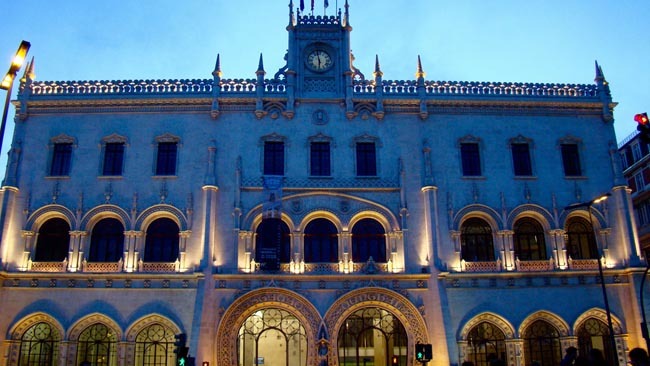 We will drive out to the seafaring Belém District, home to many of the city's most historic buildings. Here we find the Monument to the Discoveries, a giant riverside monument honoring the explorers who brought Portugal great power and riches centuries ago. We will visit the 16th century Jeronimo's Monastery (a UNESCO World Heritage site) with the tomb of Vasco da Gamma. This is King Manuel’s giant 16th-century, white limestone church and monastery. Belém Tower is the consummate Manueline building. Tonight we will enjoy a Fado dinner show. Fado is a music genre which can be traced from the 1820s in Portugal, but probably with much earlier origins. In popular belief, fado is a form of music characterized by mournful tunes and lyrics, often about the sea or the life of the poor. However, in reality fado is simply a form of song which can be about anything, but must follow a certain structure. The music is usually linked to the Portuguese word saudade which symbolizes the feeling of loss. Today we travel south to Evora and Faro. Departing Lisbon we cross the Tagus River and traverse the beautiful Alentejo region, a serene country landscape dotted with cork trees and olive vineyards. Évora is a UNESCO World Heritage Site, and has a well-preserved old town center that is still partially enclosed by medieval walls. Here we find a large number of monuments dating from various historical periods. Stretching for an impressive 9km, the 16th century Aqueduct of Silver towers over the rooftops of Évora and is a prominent architectural feature no matter where you are. We will walk through the atmospheric historical center with it’s cobbled streets and white-washed houses. 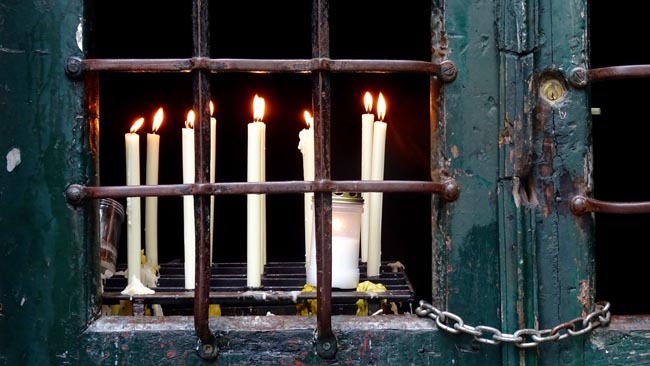 We will step into the enigmatic church of St. Francis and its macabre ‘Chapel of the Bones’ - built from bones exhumed from the city’s graveyards. We will continue up the narrow streets of the old town to the Giraldo Square, where the Inquisition was once headquartered. We also explore 1st century Roman temple, referred to as the Templo de Diana. This temple is a one-of-a-kind in Portugal, and has become the city's most famous landmark. The temple was once incorporated into a medieval building and thus survived complete destruction. We will also visit the palace of King Manuel where explorer Vasco da Gama was commanded to find a route to India. The 12th century Cathedral of Évora is one of the most important Gothic monuments in all of Portugal. We later continue south to Faro where we enjoy a walking tour. The atmosphere here is quite different from that of the busy and hectic resort towns of the western Algarve. The city is scenic, especially within the old walled town and area surrounding the marina. Faro boasts more historic monuments and buildings than many other Algarve towns. We can enter the old town through the Arco da Vila and stroll along the cobblestone streets. The city walls, which envelop the old town, date back as early as the Roman era. The history begins with the Arco da Vila at the top of a palm-lined garden with views out over the sea. Within the Castle walls, the narrow streets and alleys lead onto the Afonso III square where the statue of the king recalls the city’s conquest in 1249. Today we will explore the Algarve, Portugal's southernmost region. It was here that in the 15th century the Portuguese set off on the epic journey that led them to discover other peoples and cultures. Silves is an enchanting town littered with orange and lemon trees, sitting on the banks of the Arade River ("Rio Arade"). This was the ancient Arab capital of Algarve, and the importance of Silves lay in the fact that it was once the main access to the inland areas of the Algarve because of its river location. The most prominent monument is Castelo de Silves, which is now the best preserved Moorish castle in the Algarve. The castle and the Cathedral beside it are the first buildings you see as you approach Silves, as they sit on the hilltop above the town. The historic resort town of Lagos is an ancient maritime town that Prince Henry the Navigator called home. It was here that he sent ships to Morocco and Africa. Moorish and Renaissance influences are everywhere, and we will see some of the town's sites, including the site of the former slave market. Finally, we will go to Sagres, a fishing village that was the starting point of many expeditions. Overlooking some of the Algarve’s most dramatic scenery, the small, elongated village of Sagres has an end-of-the-world feel with its sea-carved cliffs and empty, wind-whipped fortress high above the frothing ocean. Cape St. Vincent is the southwestern most point in Portugal, and the lighthouse of one of the busiest shipping lanes in the world. Here we admire a magnificent view where 200-foot cliffs plunge into the Atlantic. Today we fly to the island of Madeira. Right in the middle of the Atlantic, the island of Madeira is a haven of natural beauty. With a subtropical climate warmed by the Gulf Stream, this volcanic outcrop off the coast of Africa is Portugal’s own floating garden. The rich volcanic soil promotes an astonishingly verdant array of flowers, plants, and trees, both in the wild and in some beautifully cultivated gardens. Here we discover a lush and vertical landscape with a wild terraced terrain. This 36 mile by 14 mile island (70% is national park) packs more into its chaotic terrain than most areas 5 times its size. The natural beauty here is like no other, from the cliffs that plummet seaward to mountain summits cloaked in silent fog. 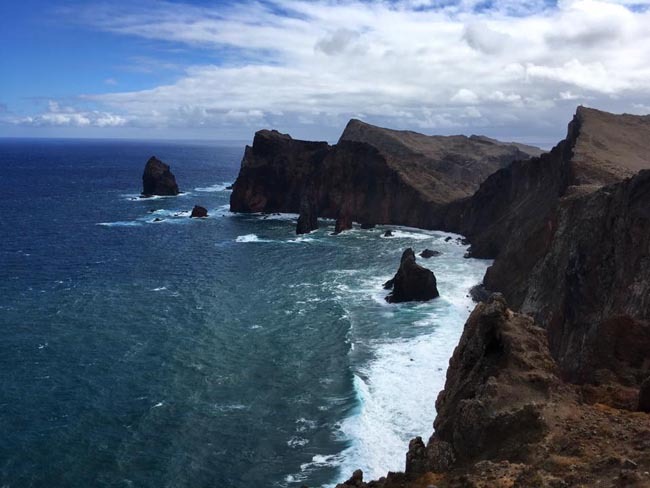 Although it is part of Portugal, Madeira is closer to North Africa than it is to Europe! Funchal, the capital of the Madeira archipelago, was declared a city in the 1500s and became an important point between the old and new worlds. The laid-back city owes much of its historical prominence to the white gold, the Madeiran sugar. The city itself is nestled in a great natural amphitheater, facing the blue Atlantic with a backdrop of dramatic mountains. 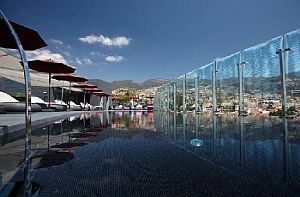 Funchal has also for many years been one of the Atlantic main ports of call; with the cruise ship harbour right in the middle of the town. The approach to Funchal Harbour is well documented as one of the most spectacular in the world! Today we will tour the city of Funchal, including the ‘Old Town’, one of the most attractive areas of the city. Portuguese settlers colonized the coast in the early 1400’s, and over the years the population grew as international trade attracted the attention of much of Europe. Today we discover a modern city with over 110,000 inhabitants. Located right in the center of Funchal is a busy and colourful covered market (Mercado dos Lavradores). Here we discover a great variety of fresh fish, tropical fruits, spices, colourful flowers and some local crafts. This is also the place to find local delicacies such as Madeira wine or honey cake. The narrow and cobbled Rua de Santa Maria is the oldest street in Funchal, dating back to the 15th century. When the heavy storms of 2010 severely damaged the old town, the municipality launched the project ‘Art Open Doors’ in order to revitalize the area. They invited local artists to paint the doors in the street and the result is a vibrant, colourful, artistic street, full of energy. 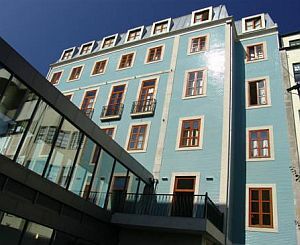 Nearby is the Madeira Story Centre, an excellent museum that charts the history and culture of the Madeira archipelago. 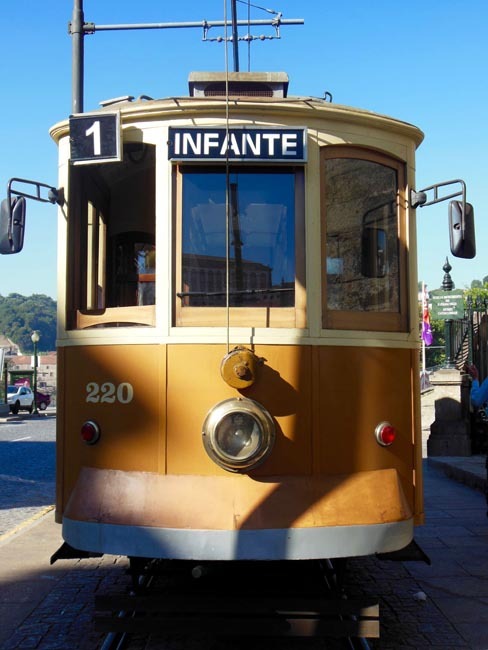 For the best view of Funchal we will take the cable car (Teleférico do Funchal) to the Monte Village. The 15-minute journey takes us 560 meters above the city, with a 360º panoramic view of Funchal, the dramatic mountain landscape, and the shimmering Atlantic Ocean. Monte Village was built in 1565 as a summer refuge for Funchal’s aristocracy. Constructed in 1741, the Church of Our Lady of the Monte is the resting place of Charles I, the last ruler of the Austro-Hungarian Empire. Those who climb to the bell tower terrace are rewarded with a spectacular view. Just northeast of Funchal city center we find the Botanical Gardens. Draped over the slopes of the Quinta do Bom Sucesso estate, the garden dazzles with its rich and diverse sub-tropical flora. The western edge of the garden affords spectacular views across Funchal bay. The Quinta das Cruzes estate crowns a steep rise behind Funchal town center. 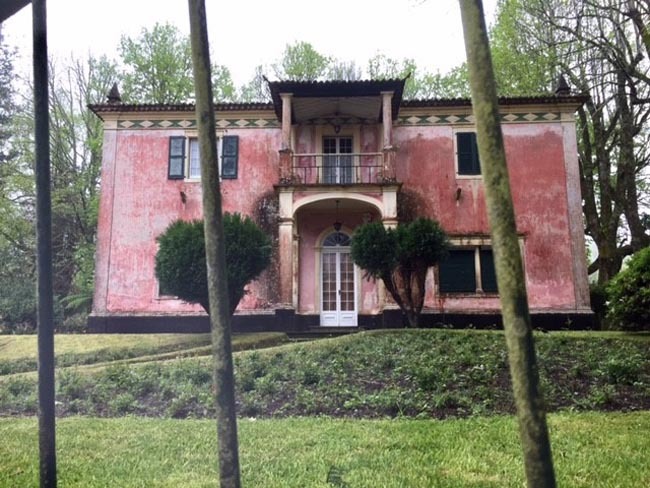 These lush and verdant grounds encompass an excellent museum housed in a mansion that used to be the family residence of Portuguese navigator João Gonçalves Zarco who, together with Tristão Vaz Teixeira, discovered Madeira in 1419. The museum provides a suitable introduction to the history behind the island's early pioneers. A short walk away is the serene Santa Clara Convent. Founded in 1476, the convent was last occupied by nuns in 1890. Today, we can meander through the simply furnished Upper and Lower Choir rooms before wandering the elegant cloisters, which provided access to chapels and oratories. Today we explore the eastern side of the island with its dramatic mountain, forest and coastal views. 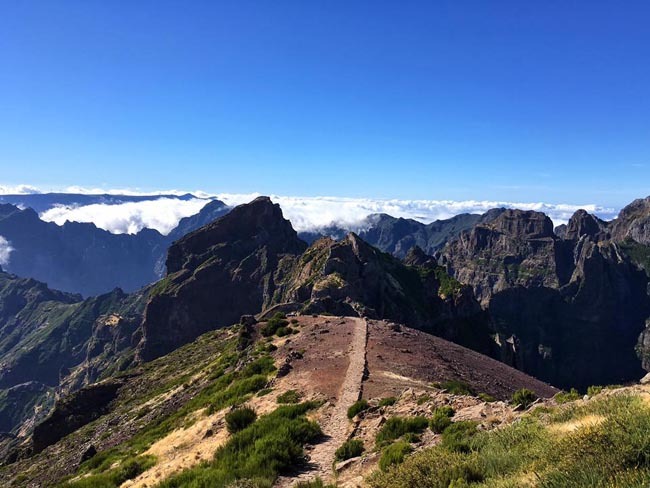 Our journey then takes us up to Pico do Arieiro (1818 meters / 5965 ft), one of the islands highest peaks with spectacular views. After visiting the highest (driveable) peak in Madeira, we will head towards Ribeiro Frio, a popular starting point for 'levada' walks. Madeira was once completely covered by laurel 'Laurissilva' forest, a relic from prehistoric times. Laurel forest, also called laurisilva or laurissilva, is a type of subtropical forest found in areas with high humidity and relatively stable, mild temperatures. Laurel forests need an ecosystem of high humidity, such as cloud forests, with abundant rainfall throughout the year. This region still has much of its original vegetation, and here we will enjoy an easy walk. As UNESCO put it... "an outstanding relict of a previously widespread laurel forest type. It is the largest surviving area of laurel forest and is believed to be 90% primary forest.". This is one of the best places to really appreciate Madeiras natural heritage. We then visit Santana, which is famous for its typical A-framed cottages with thatched roofs. As we turn back towards the east coast we will make our way towards Faial where we may stop for lunch. 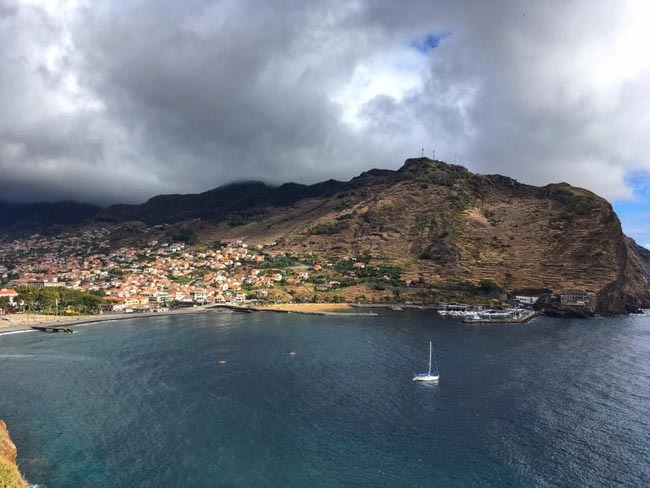 We then make our way to Porto da Cruz, Caniçal, and Ponta de São Lourenço - with some of the best views you can get on the island. From here you can see both coasts as well as Porto Santo and the Dessertas Islands. Before returning to Funchal we will drive to Pico dos Barcelos (355 m), located right in the heart of the island. Here we climb to the famous viewpoint Eira do Serrado (1094 m) with an amazing view of Curral das Freiras. This well known view site is one of the most famous viewpoints on the island, looking towards Nuns Valley. Curral das Freiras ('Nuns Valley') is a small village nestled between almost perpendicular mountains in the heart of the island. Today we explore the west, crossing mountain passes and traversing Madeira's highest plateau. Prepare for some spectacular panoramas! In the morning we first pass through the traditional fishing village of Câmara de Lobos, and make a stop at the Pico da Torre viewpoint. Here the port is really just a small creek, with a beach, a harbour and houses heaped up around the bay. We willcontinue up to the lofty sea cliffs of Cabo Girão, the highest sea cliffs in Europe (580m) / the second highest sea cliffs in the world. From here you can enjoy some beautiful views. A glass bottomed skywalk hangs out over the top of the cliff! Sea erosion has led to the formation of caves and terraces along the coastline, and the local population have created small plots for crops, forming an incredible watercolour landscape. In Ribeira Brava we will see the 16th century mother church. Along the promenade we will pass by the town’s landmark, the fort of São Bento. We then visit what many consider to be the most beautiful village on the island, Ponta do Sol (point of the sun). The town, with its old restored buildings, was once described as a ‘quiet and pretty little village shoe-horned into the folds of a steep valley’. We continue to make our way up through the Laurissilva forest, and reach the plateau of Paul da Serra, which translated roughly is “mountain plain”. This is Madeira’s biggest and highest plateau, situated at 1400mts (4593 ft), and here we can enjoy another ‘Levada walk’. Our next stop is the village of Porto Moniz on the north coast, which is famous for its natural volcanic rock pools. This is Madeira’s most north-western valley, and the dramatic village is situated at the foot of the mountain. Our next stop is at the picturesque village of Seixal where local vegetable gardens and vineyards are surrounded by heather broom. We will see the famous “Brides Vale” falls which plummets directly into the sea. Our scenic coastal route then brings us to the charming fishing village of São Vicente. Before making our way back to Funchal we will take in the breathtaking views from the mountain tops of Encumeada. We climb to 1,007mts (3,303 ft) to the viewpoint from where (weather permitting) we can see both coasts. Today we fly from Madeira to the Azores. Ponta Delgada, on São Miguel, is the regional capital of the Azores archipelago, a string of nine islands in the Atlantic Ocean about 1300 km west of Portugal's mainland. 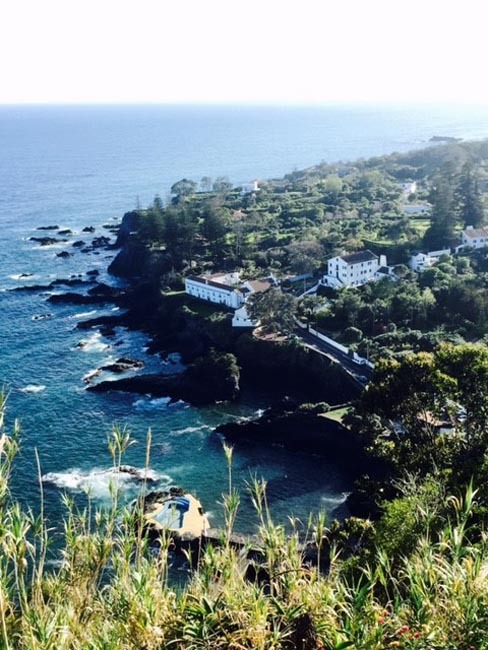 The town lies on the south coast of São Miguel, the largest island, and is a rewarding introduction to this beautiful and remote Portuguese territory. Many travellers would be hard pushed to pinpoint the Azores on a map, but finally the world is waking up to the allure of these volcanic islands, scattered like stepping stones in the mid-Atlantic. 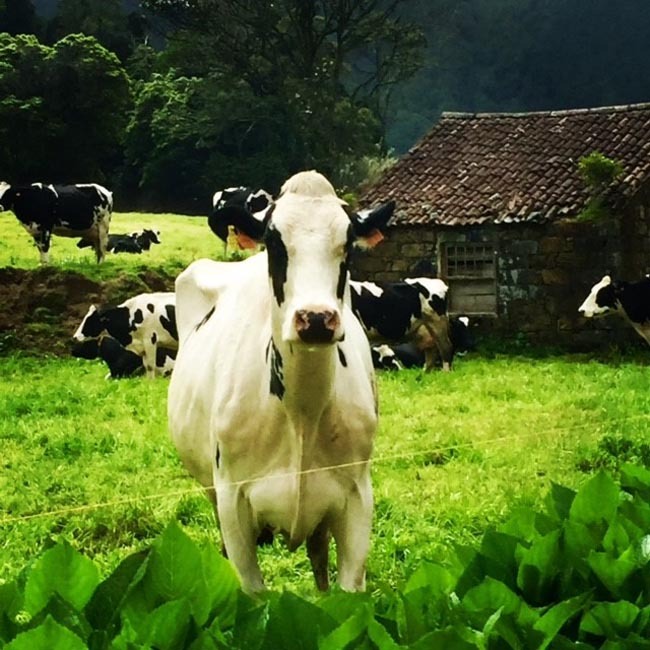 São Miguel packs the best bits of the Azores into one enticingly volcanic bundle. Ponta Delgada is a graceful center with cobbled streets meandering down to a marina lined with restaurants. This afternoon we will spend some time exploring its historical center where we discover the squares, well-tended gardens, and handsome monuments built when Ponta Delgada was an important trading port in the 18th and early 19th centuries. For a pleasant overview of Ponta Delgada we will stroll along the town's harbourfront promenade. At its western end we overlook the 16th century Fort. Lying opposite is the Convent and Chapel of Nossa Senhora da Esperança (Our Lady of Hope), arguably the most visited of Ponta Delgada's cultural attractions. We will see the three arches of the original 18th century city gates standing on Praça Gonçalo Velho Cabral. The quirky collection of regional ethnography on display at the Carlos Machado Museum offers a fascinating glimpse into the customs and traditions of island life. Founded in 1876, the museum is housed in the former 16th-century monastery of Santo André. 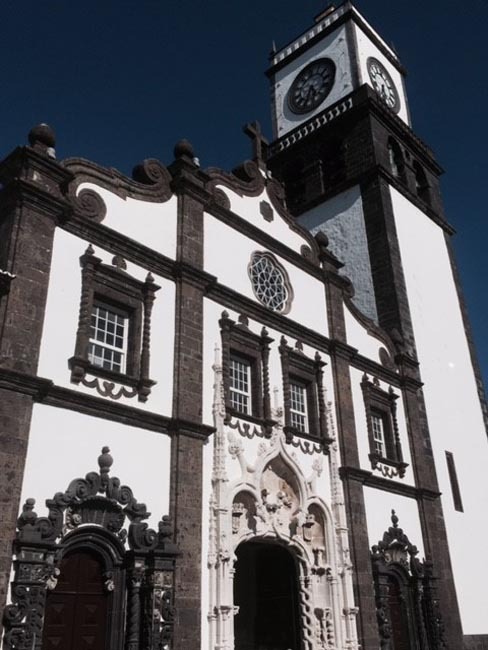 Constructed from the black basalt stone that characterizes all public buildings in the Azores, São Sebastião is Ponta Delgada's parish church. Today we head to the eastern region of the island, including the famous Valley of Furnas. As we cross towards the north side of the island, one of our stops will be at Miradouro de Santa Iria, from where we have a dramatic view over the north coast. 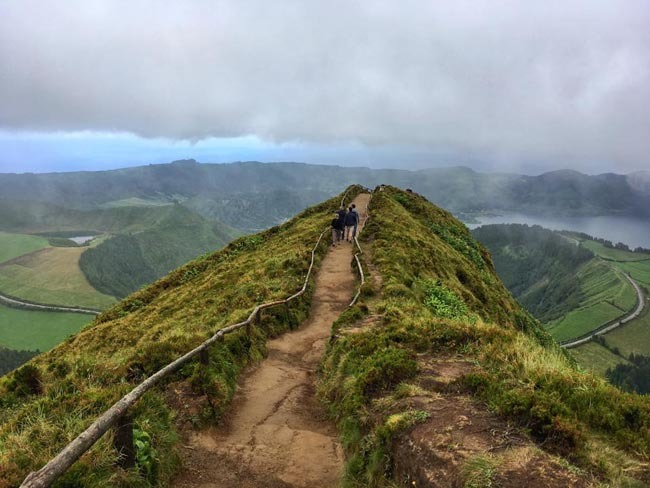 Weather permitting we will be able to spot the volcano of Sete Cidades as well as Pico da Vara, the highest point of the island (1105 meters). 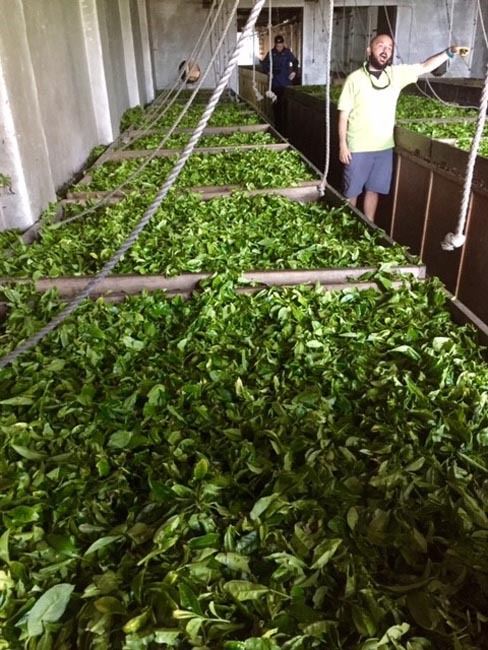 We will make a photo stop at the Gorreana tea plantation, one of the only tea plantations in Europe! We will visit Parque Natural da Ribeira dos Caldeiros where waterfalls and gardens give a special touch to the park. At the Vista dos Barcos viewpoint we will see ‘Farol do Arnel’, the oldest lighthouse of the Azores dating back to 1876. 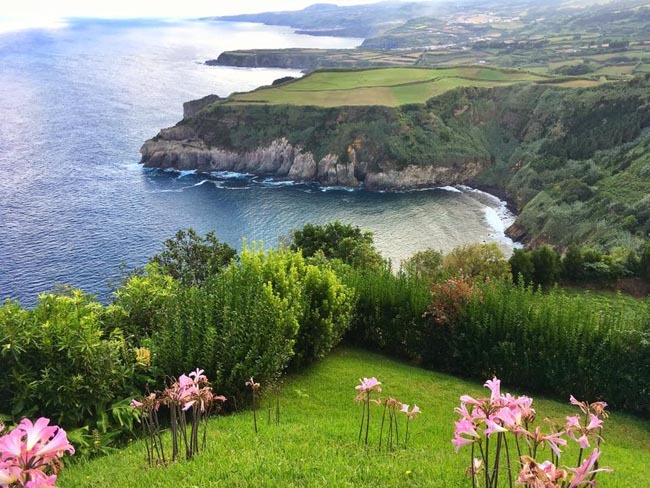 Ponta do Sossego is a beautiful garden and scenic lookout surrounded by mountains. At the view point of “Pico Longo” we can see the village of Povoação, where the first settlement was establsihed back in 1432. The Parish of Furnas is located in the middle of a huge volcano, and the ‘Caldeiras of Furnas’ is a place of hot water springs and medicinal mud where visitors come to bathe in the hot pools! With its gushing geysers, burping mud, and hot bubbling springs, the spa resort trembles with geothermal activity. 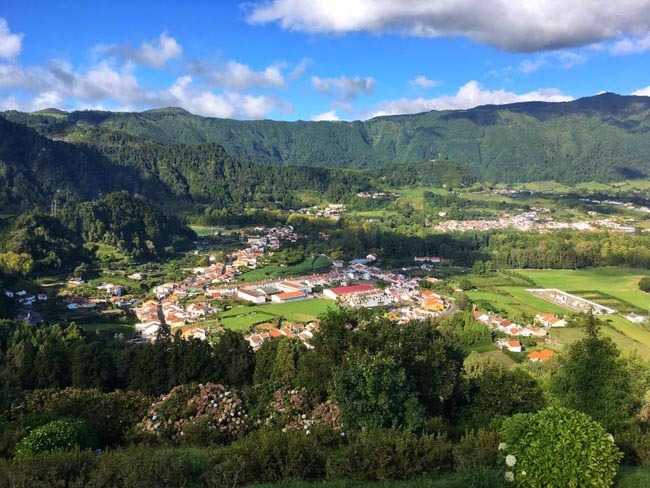 A historically active volcanic complex, Furnas embraces a small village, spa facility, verdant park, and the impressive Lagoa das Furnas, the second largest lake on São Miguel. The spa has been functioning here since the 19th century, and there are dozens of hot springs and fumaroles dotting the landscape. We will visit the Botanical Garden set within the Terra Nostra Garden Hotel. We then head to Pico dos Milhos for an overview of Furnas valley. Finally we will exit the volcano and head up to a spectacular panorama of the village of Vila Franca and the famous lagoon - the crater of a submarine volcano about 5000 years old. We will stop in the historical center of Vila Franca do Campo, the former capital of the island. Today’s excursion takes us through the heart of the island and out to the very west. As we leave Ponta Delgada we will stop at Ponta de Ferraria and Ponta do Escalvado. At Miradouro do Escalvado we will have a superb view over the fishing village of Mosteiros, with it’s beautiful summer homes, beaches and natural pools. The westernmost part of the island is where the mountains and lakes of Sete Cidades are situated. The southwest road takes us along the coast through green pastures, and we will stop at the Vista do Rei (King’s View), one of the most stunning panorama spots of the Island. From here the blue and green crater lakes can be seen (on a clear day!). The volcanic caldera lake of Lagoa das Sete Cidades is one of the great natural wonders of the Azores archipelago, and absolutely mesmerizing in its beauty. Nearly five kms long and two kms wide, this is the largest freshwater lake in the Azores and in fact consists of two lagoons - the Green Lagoon and the Blue Lagoon. An emerald mantle of rolling hills and lush vegetation frames both, and in some places the cliffs drop 500 meters into the mirror-like waters. We will enjoy a short walk to the viewpoint of Boca do Inferno, where we admire the view over the crater of Sete Cidades. Later we will visit the farming village of Sete Cidades, situated right on the crater floor. We will stop at Pico do Carvão where the north and south coasts of the island can be seen. From here we head to the north coast and along to the town of Ribeira Grande where we will see the historical center and some of the islands most beautiful cliffs. We rise to the Fogo Lake, the most isolated and untouched lake of São Miguel! Driving down from the north coast our next stop is at Caldeira Velha where we discover a waterfall located on the north slope of the Fogo Volcano. Our next stop is at the Lake of Fire, another breathtaking caldera with a lake at the bottom. Its remote setting, more or less in the middle of São Miguel Island, makes this impressive volcanic crater especially appealing. There are no settlements here as the entire area is a protected nature reserve, and the crater's walls are studded with a number of endemic plant species. Our last views of the day will be from the top of the volcano of Pico da Barrosa (947 meters). Departure from Ponta Delgada's João Paulo II Airport (PDL). 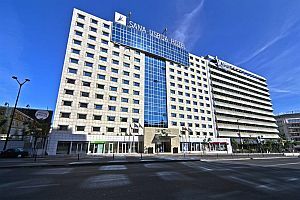 Hotel Eva is a 4-star hotel boasting magnificent panoramic views of the Ria Formosa Natural Park. This charming hotel of ...	benefits from its central position in the vibrant Faro city centre and offers numerous top-quality services. 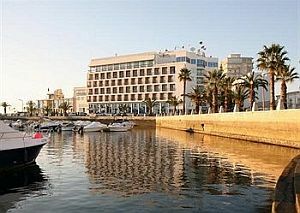 Easily within walking range of Faro's lovely marina, Hotel Eva has 134 spacious guestrooms. Guests can enjoy the sunset on their comfortable balcony or with a tasty beverage on the terrace. The theme of the vine has been woven into a modern, trendy design, with a different colour scheme reflecting ...	four seasons for rooms on each floor. We provide first class dining, a pool, spa, a meeting room ideal for small events, and a trained, professional staff. 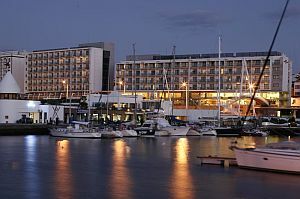 Hotel Marina Atlântico in Ponta Delgada embodies a ship, with high masts, resting on the shore. Considered a reference ...	São Miguel Island, its decor is luminous and modern, inspired by nautical motifs and inviting you to have a serene and unique experience. September is considered the last month of they summer season, with comfortable warm temperatures, lots of bright sunny days, and a lack of extreme heat and plenty of bright sunny days. However, as September progresses, the area does start to get wetter, especially in the islands. May will feature much the same temperatures, but the landscape will be greener and flowers will be in full force after winter rains. Crowds should also be thinning than high season, though some locations (Lisbon, Porto) are popular at all times. Your pre-trip notes will include specific temperature ranges, precipitation amounts, and useful items to pack. On the mainland, we will get around by private air-conditioned touring coach. ON the islands, due to the nature of the roads (narrow and winding), our bus may be a smaller air-conditioned vehicle (possibly 24-30 seats). We may also make use of taxis for some shorter distances as need be. The #2 difficulty rating for this trip refers to considerable walking up hills and stairs and on uneven or cobblestone streets. This is an ambitious tour with lots of moving around, so full travel days, and walking tours at sites / in towns and cities and walks to / from dinner. Hotel choices for this tour are of a 3 or 4-star rating throughout. Click "Map & Hotels" tab for more information. Tour Leader (Martin Charlton) throughout, driver, local step-on guides in various locales.